The HR-A Series of Compact Analytical Balances are fast, accurate and reliable. They feature solid construction based on the A&D Super Hybrid Sensor (SHS) technology which has delivered consistent weighing results day-in and day-out in thousands of laboratories and production facilities worldwide. The HR-AZ models add highly reliable internal calibration. One-touch automatic calibration ensures consistent balance accuracy. The HR-A and HR-AZ meet today’s demanding needs in: Laboratory, Quality Control/QA,Production environments and deliver performance with convenience in a compact footprint. Compact footprint: 20x30cm / 8x12in. 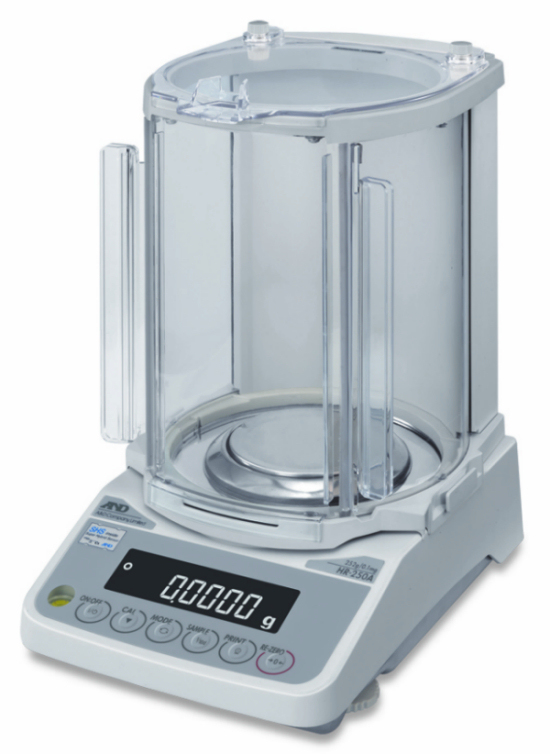 14 weighing units and functions: g, mg, oz, ozt, ct, dwt, GN, mom, tael, tola, %, pieces,density, statstical function and user-defined units.